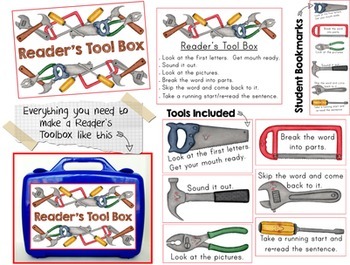 Reader's Tool Box of Reading Strategies! ****This kit is now available as part of a money-saving BUNDLE! 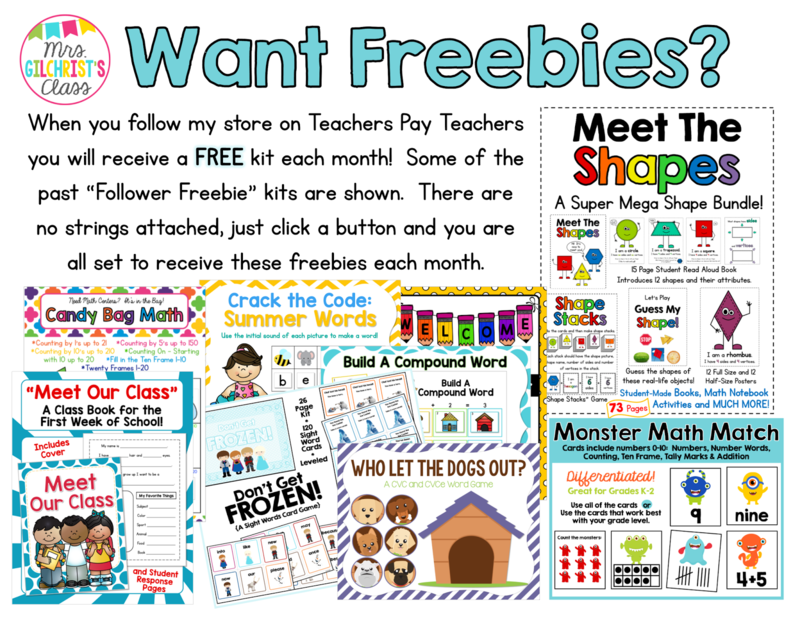 Check it out here (Click on the title): Save With A Bundle: Author's Purpose - All About PIE and Reader's Tool Box This is perfect for getting ready for the first day or week of school! 2. 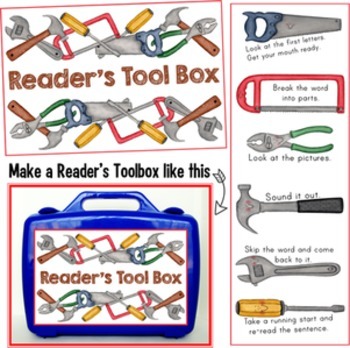 Reader's Tool Box Cover (to put on your own box, file or large envelope to hold the "tools"). 3. 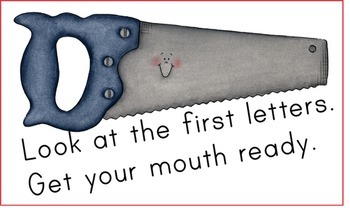 Saw: Look at the first letters. Get your mouth ready. 4. Hammer: Sound it out. 5. Pliers: Look at the pictures. 6. Handsaw: Break the work into parts. 7. Wrench: Skip the word and come back to it. 8. Screwdriver: Take a running start and re-read the sentence. 9. Tape Measure: Does it make sense? Does it look right? Does it sound right? 10. Bonus! Student bookmarks printed two-to a page OR use as mini tool kits that you can print, cut and laminate so each student can have their own mini tool kit! Suggestions: Print tools in color on cardstock, cut, and then laminate. Place in a box. Put the cover onto the box lid or purchase a box as shown in the photos.